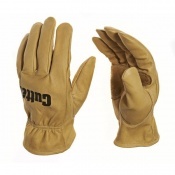 The Dirty Rigger Leather Grip Framer Rigger Gloves DTY-LFRM are ideal for demanding yet intricate jobs. 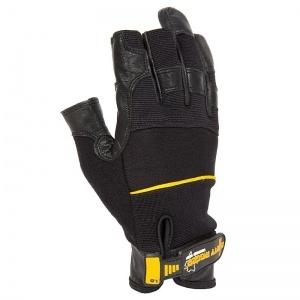 The Dirty Rigger Leather Grip Framer Rigger Gloves DTY-LFRM have a double layer leather on fingers, palm and key wear areas for outstanding durability, the gloves also include Dirty Rigger's double stitching and palm comfort pads plus the super soft sweat wipe on thumb-side. 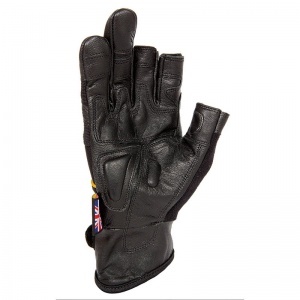 The Dirty Rigger Leather Grip Framer Rigger Gloves DTY-LFRM offer all the hand covering of the standard Dirty Rigger Leather Grip Full Finger Rigger Gloves but with the thumb, index & middle finger exposed. 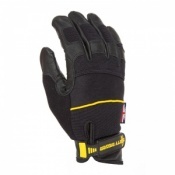 High cut styling ensures only the upper finger sections are open. 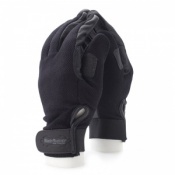 The product code for these gloves is DTY-LFRM.